I got a good start on those grape vines this afternoon and hope to spend most of the day tomorrow ( Tuesday) working on them. I use the Felco on grapes because of the range of diameter of the vines that need to be cut. They typically range from pencil thickness to the diameter of your thumb (or even someone else’s thumb). It would be over-kill to use them on light pruning such as cutting perennials or flower stems. 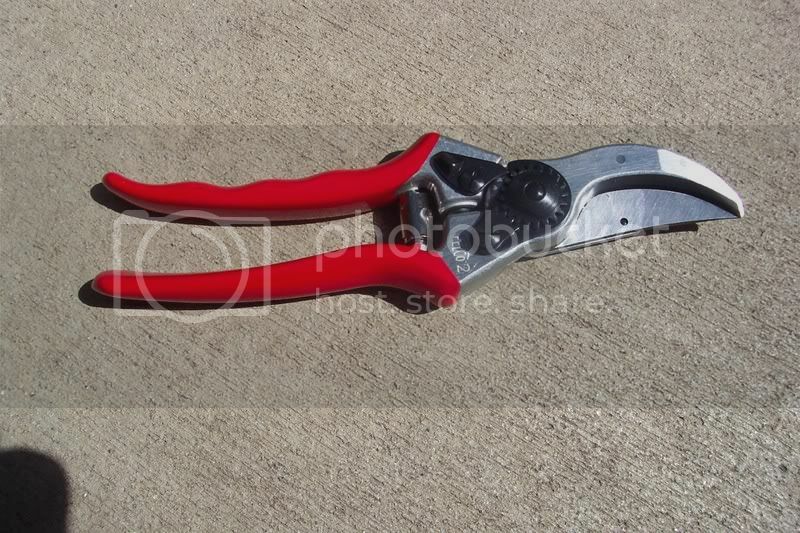 This is an exceptional pruner made to very high standards. They are a bit pricey compared to the Chinese knock offs that are out there but are well worth the money. This tool should last you a lifetime. It even comes with a special wrench allowing you to replace the cutting blade if need be. This model, the #2, is designed for people with medium to large hands. Felco makes models suited to folks with smaller hands as well. I used a Corona pruner for many years (and stiil have it). The Corona is a fine tool as well. Next Next post: Grapes are Pruned!